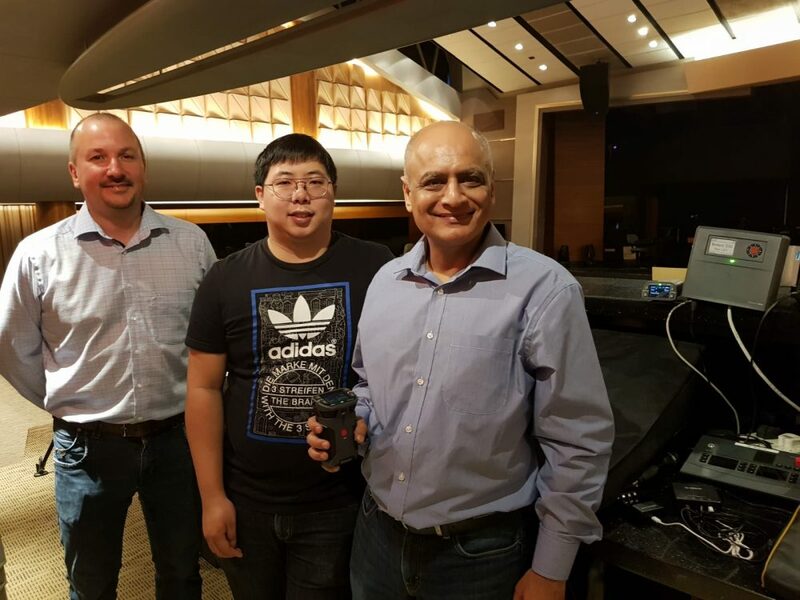 SINGAPORE – Lighthouse Evangelism recently started using Riedel Communications’ Artist and Bolero intercom systems, as well as its MediorNet media distribution and routing solution for its two worship facilities. Riedel Communications announced that Lighthouse Evangelism, one of Singapore’s largest houses of worship, is using Riedel’s Artist and Bolero intercom systems along with the company’s MediorNet media distribution network to provide a complete signal distribution and routing solution for its two worship facilities: Lighthouse Woodlands and Lighthouse Tampines. Installed as part of a technical refurbishment of the two Lighthouse worship facilities, the Riedel systems replaced a legacy solution prone to destructive compression, noise, distortion, and other issues that compromised both signal quality and reliability. Together, the Artist wired intercom platform and Bolero wireless intercom system give operators crystal clear audio and a tremendous amount of flexibility in communications. The MediorNet system simplifies handling of audio and video distribution within and between the worship venues and their classroom areas while maintaining the best possible signal quality across the entire signal path. The MediorNet routing system, which covers several floors of each worship site, leverages fiber as a cost-effective, high-density signal-transport solution. For ease of identification, all input and output connection points are user-definable in the MediorNet control software. MediorNet’s straightforward system configuration and its flexibility in signal routing also help to minimize time spent on maintenance. Built-in features such as audio embedders and de-embedders, frame synchronizers, and test pattern generators have negated the need for extra external hardware. Although the Lighthouse Woodlands and Lighthouse Tampines facilities are configured differently, technical teams from Lighthouse and Riedel jointly designed a custom solution that can be controlled using a single control system. Because the same control system manages Riedel gear at both sites, crew can transfer between Lighthouse facilities and easily configure the systems.